The farmers markets tables are awash in reds, greens, purples, oranges- shiny bells and crinkly horns, tiny slivers of heat and crispy sweet bites of summer. It is pepper season! When I was a kid my favorite recipe to prepare was Chile Rellenos. Assisted by an adult, of course, I would heat up that oil and dip the jack cheese filled (canned) pepper into a fluffy egg batter then throw my dripping masterpiece into the oil spitting pan and watch that baby brown. Once a sufficient amount sat on a paper towel covered plate, we would sit down to watch the evening news while drowning our dinners in salsa and sour cream, strands of gooey cheese streaming from plate to mouth-bound fork. Preheat your oven to 400'. Toss peppers, tomatoes, and onions with olive oil and sprinkle with salt and pepper. Place on a baking pan and roast for about 30 minutes or until the peppers are soft and slightly browned. Once the veggies are ready, let cool slightly, and place half the peppers on a broiler safe baking sheet. Peel off papery skin if desired, carefully slit them on one side and remove seeds. Then stuff them with your choice of cheese: My favorite is Monterey Jack, but goat cheese or queso fresco can work too! Place under broiler until cheese is melted. Meanwhile, place tomatoes, onions, and remaining peppers into blender and blend just until large chunks are incorporated. Season with salt and pepper if needed. 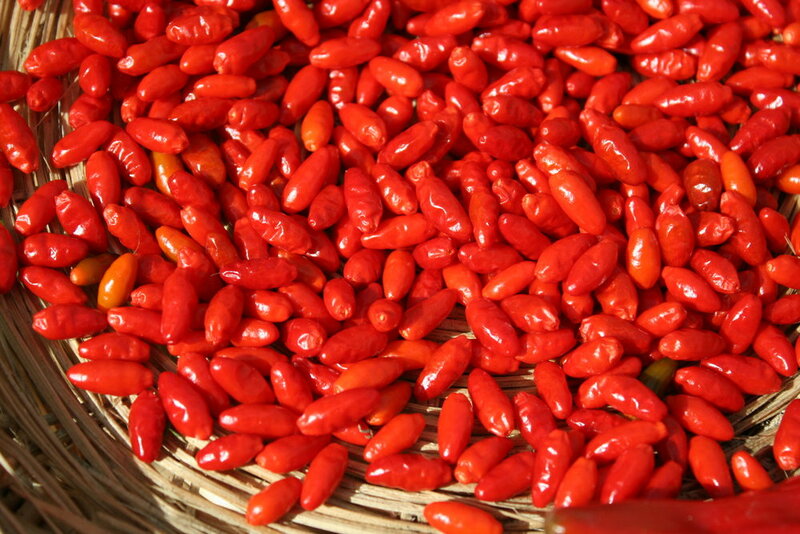 Add a dash of hot sauce if you like, preferably made from African bird chili peppers like the ones in the photo above! Place one or two chile rellenos on each plate. Top with fried egg. Pour warm salsa over top and sprinkle with chopped cilantro.